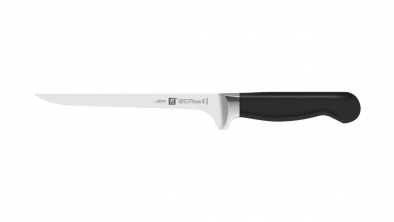 ZWILLING Pure knives are built with comfort and ease of use in mind. Forged from a single piece of special formula steel and FRIODUR Ice-Hardened, ZWILLING Pure Knives are hard and sharp, yet flexible - exactly what is needed from a kitchen knife. 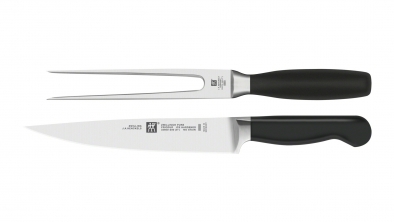 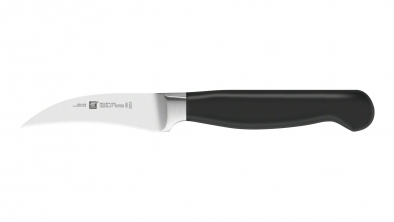 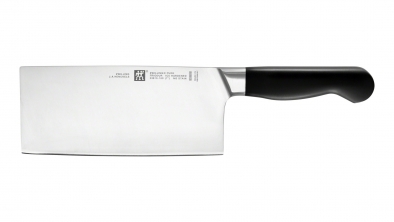 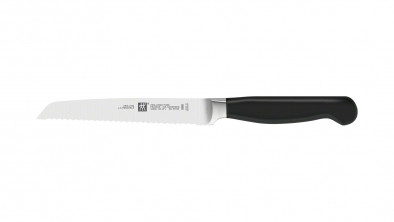 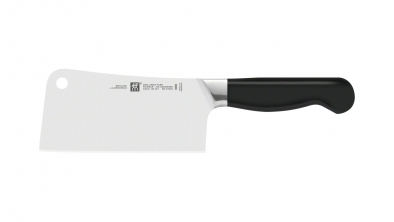 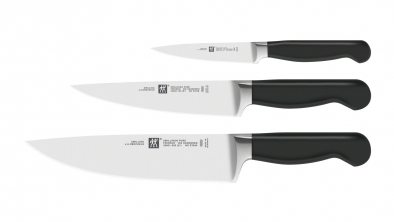 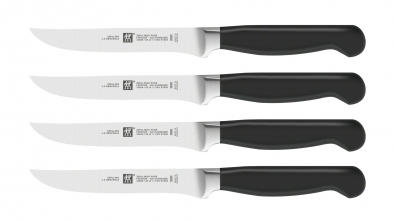 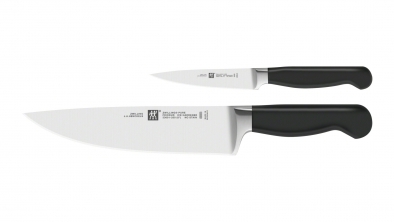 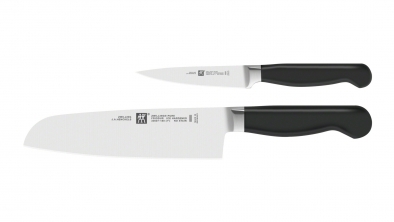 With protective finger bolster, the ZWILLING Pure range is a comfortable and effective range of knives. The bolster provides a smooth transition from the handle to the blade. 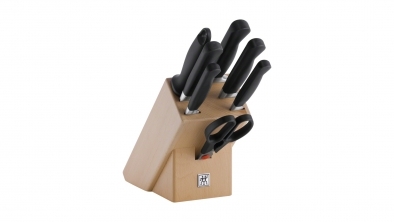 This bolster is shaped like a hand guard and ensures safety while cutting, as well as an even distribution of weight. The minimalist handle with full tang is impressively well-balanced and enables the knife to be held safely and securely. 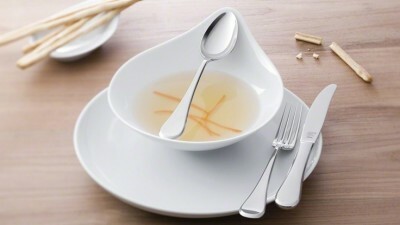 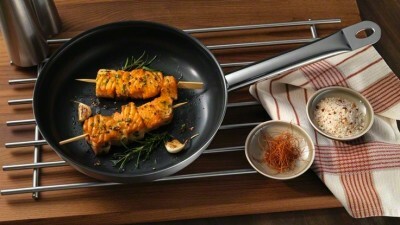 The ZWILLING Pure range is innovative yet down-to-earth. 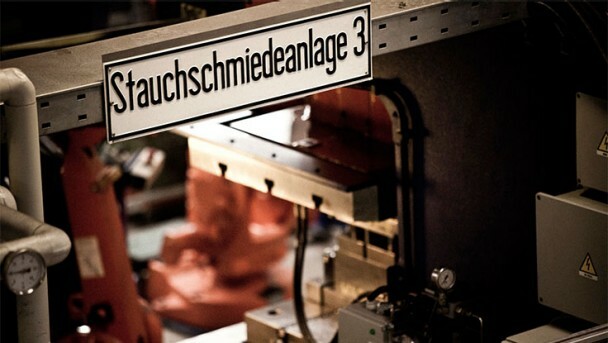 They are everyday knives able to deal with even the most strenuous demands. 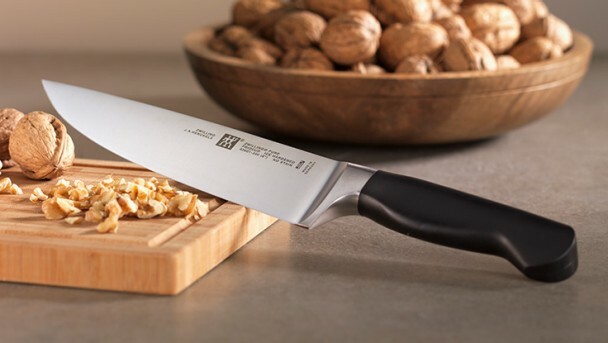 In the words of the Milanese architect and designer Matteo Thun who created this new knife range for ZWILLING, "the range is based on clean, elementary design and lightweight, elegant materials and shapes". 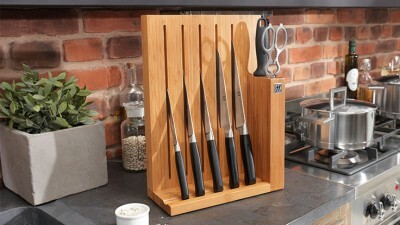 Knife block, synthetic/wood, 7 pcs.